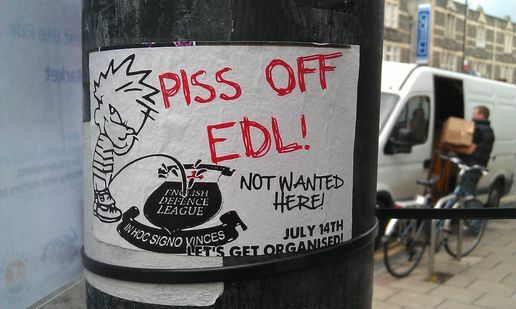 During the anti-EDL mobilisation in Bristol on Saturday 14th July, a white male of medium build 5f 9” blonde short hair wearing a grey hoody, blue grey jeans, and red boots, was arrested near Redcliffe Bridge (Redcliffe side) around 2:30pm approximately. The EDL were marching over the bridge, while there was a group of around 50 anti-fascists being held back by police, and possibly cordoned off. The individual was then jumped on by several police officers and later charged with section 6 of the public order act and two counts of assault pc. He has since pled not guilty. One of the assault pc charges was from between half an hour and an hour before, on the Waterfront by Redcliffe Bridge, while police were pushing against a crowd of anti-fascist protesters. The defendant is accused of dragging a police officer into the crowd. The other charges were from the time of the arrest. We are in need of witness statements, video footage, and any information, which would help towards a defence in court for trial. 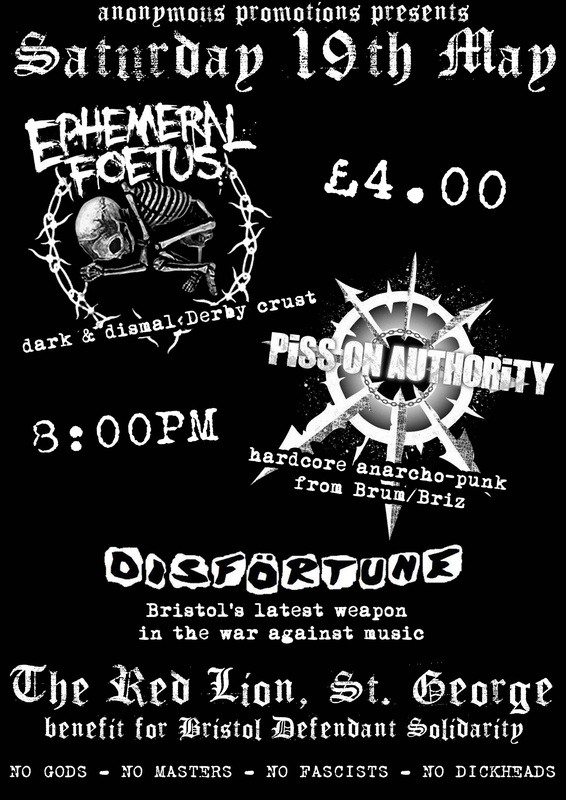 Please contact bristolarresteesupport[at]riseup.net or phone 07746741104 if you can help. Everything you say can be used in evidence against you or others. There are no “friendly” chats with the police. They cannot be trusted. Avoid contact and conversation with them. Stop and search – Before a search you must be told the name and station of the searching officer, the reason you are being searched and what power you are being searched under. You can be arrested if you refuse to be searched and they can use reasonable force to search you. 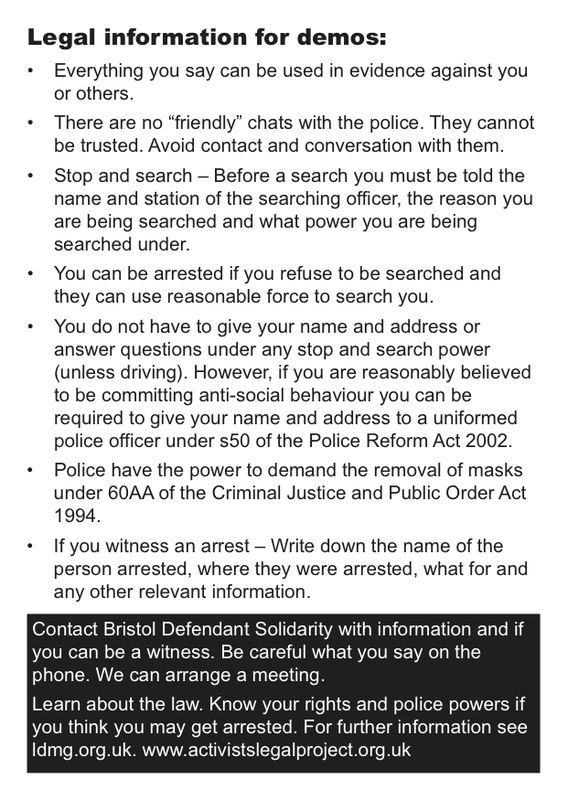 You do not have to give your name and address or answer questions under any stop and search power (unless driving). However, if you are reasonably believed to be committing anti-social behaviour you can be required to give your name and address to a uniformed police officer under s50 of the Police Reform Act 2002. 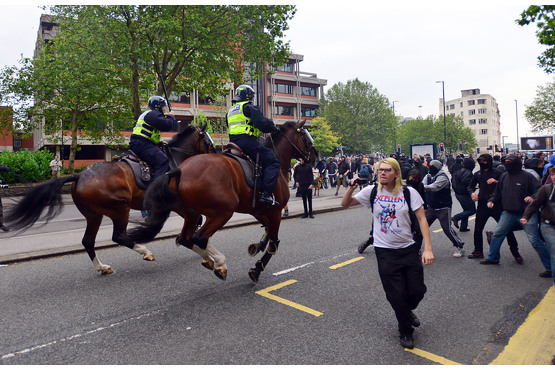 Police have the power to demand the removal of masks under 60AA of the Criminal Justice and Public Order Act 1994. If you witness an arrest – Write down the name of the person arrested, where they were arrested, what for and any other relevant information. Don’t panic. You’re not alone and it’s not the end of the world! You have the right to know why you are being arrested. Note the number(s) of your arresting officer(s), if possible. Tell someone the name you will give to the police so you can be located later at the police station. You still have the right to silence. Just say “No comment” to all questions. Whatever the police say, there is no legal requirement to talk to them. You don’t have to give any information to the police after arrest, but if you don’t give a verifiable name and address it will delay your release. You will be searched and police are entitled to take photo, fingerprints and DNA sample of anyone arrested (by “reasonable force” if necessary). If you have any injuries, ask for an independent doctor to record and photograph them. You have the right to read your rights from the PACE code of practice. 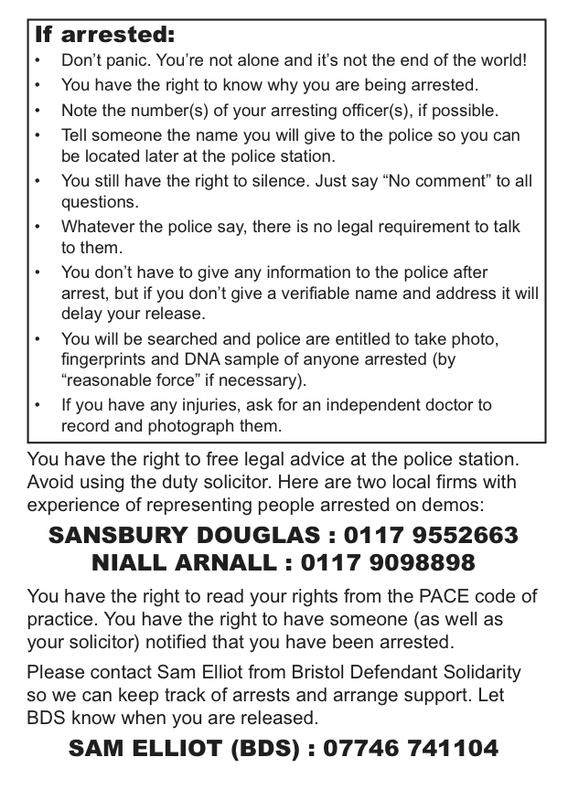 You have the right to have someone (as well as your solicitor) notified that you have been arrested.